In the era of advanced artificial intelligence, machines are increasingly getting “smart” and are able to generate massive amounts of data without human intervention. This vast storehouse of information is often referred to as “machine data” and it’s increasingly becoming valued as a source of key business insights. In addition, the emergence of the Internet of Things (IoT) industry has made an accessible, commoditized channel for machines to “communicate” with other machines. This field is known as M2M and according to Wiki, “refers to technologies that allow both wireless and wired systems to communicate with other devices of the same type.” Key components of an M2M system include sensors, RFID, a Wi-Fi or cellular communications link. M2M technology has a wide range of applications warehouse management, remote control, robotics, traffic control, logistic services, supply chain management, fleet management and telemedicine. Some applications of M2M that you may or may not be familiar with are a vending machine that can message the distributor when a particular item is running low, or a smart meter that wirelessly gathers information from a water or electric meter and transmits the data to a central power station, or an RFID could be attached to an animal in its natural habitat to monitor its movements and behavior. M2M is based upon machine-generated data; this is the kind of data that often exists behind the scenes of a company infrastructure in the form of message queues, sensor data, GPS data, and a wide range IT log data (application logs, point of sale logs, server logs, virtual machine logs, web proxy logs, etc.). Businesses are hard-pressed today to find ways to capture and utilize this treasure trove of machine generated insights. 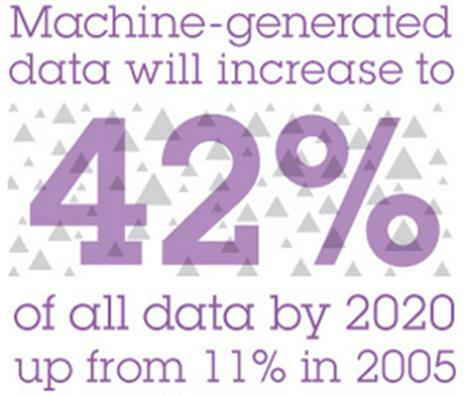 IDC forecasts, in fact, that machine-generated data will increase to 42% of all data by 2020, up from 11% in 2005. With the massive amounts of machine data available today, businesses have almost a limitless number of opportunities to improve web and infrastructure operations and customer experience. The growing complexity of physical, virtual, and cloud environments today, along with the increasing amount of M2M data coming online with Internet of Things, will mean enormous ROI for those businesses that can leverage this data efficiently. Let’s explore a few practical examples of how you can make the most of your M2M and turn this hidden information into valuable insights that can generate new forms of ROI for your business. M2M is basically a subset of IoT, but there are differences. 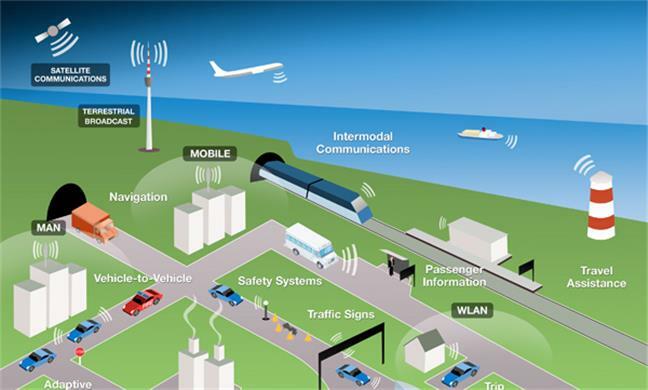 Here’s how one expert describes the distinction: “M2M is like a line connecting 2 points, and IoT is like a network, a system composed of lots of M2M and triggering lots of interactions/activities.” In order to build value from machine data/M2M you need to become fluent with Internet of Things; this involves knowing how to manage large amounts of unstructured data, how to connect various objects together, and lastly, how to make sense of the data coming from those systems. If you haven’t started developing an Internet of Things strategy, now would be the time to start doing so. M2M data is also a good way to get introduced to IoT since the two areas are integrally related. Due to IoT, more devices than ever are now accessible online and enable people to communicate with their cars, heat pumps, ovens, toasters, and what have you. Companies such as Smart Things already have kits that make your house appliances smart. Beacons and other Wi-Fi based location service devices have received big buzz in the last year. Simply put, they’re low-power, low cost indoor radio transmitters that can alert other devices to their presence. Apple has already built this technology into iOS so it communicates with their network of iBeacons, and Beacons are used for indoor positioning, providing product information, or for opening further customer engagement channels, especially in places where cellular service is spotty. Many application servers generate log files in such areas as local files, log4j, log4net, Weblogic, WebSphere, JBoss, .NET, and PHP. All of this IT data provides critical insights into application and application server operation and performance, but also can lead to information on user activity and provide fraud detection. Also, your IP network equipment uses syslog formation to capture connection status, capacity information, routing information, failure alerts, security alerts and performance data from your infrastructure and website. When this information is joined and queried and processed in real-time it can provide unique insights about your network, and also lead to predictive insights that will help forecast uptime, downtime, and improve overall performance. One resource you should look at for getting onboard with M2M is Splunk. In recent years this company has been redefining the whole value proposition of machine data by showing how it can lead to increased performance and revenue using what it calls operational intelligence.